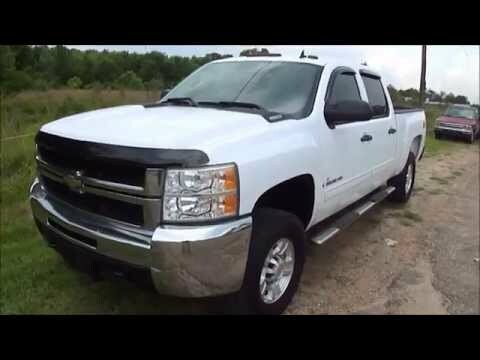 Whether purchasing for commercial construction, agriculture or recreational towing, if your needs are truly "heavy-duty" you'll likely find those needs met with the 2009 Chevrolet Silverado HD, which offers all of the virtues, with few of the vices, normally associated with a "heavy-duty" truck. I have had this truck for 2 years and plan on having it for 10 more years. I like Chevy products especially trucks. I have a 4 door crew cab. Power dependability do not have trouble with motor or transmission. I have it lifted with a 6 inch lift and the sound system is custom. Parts are easy to change and auto zone has all the parts need for gm. I have had Ford and Dodge trucks before and fell Chevy is more dependable. It could use better seats. The lights and flares are easy accessible and parts are easy to come by. My husband and I love our Chevrolet Duramax diesel. It is extremely dependable. It is a heavy duty truck with lots of room inside. I also feel very safe when I drive this truck. It is a large vehicle and very heavy duty. It was worth every penny!! We have not had any trouble with our truck but to add to that we always maintain it. Oil changes, inspections, tire rotations etc. . . Are very important!! It's got the power to do anything I will ever need it to do. After 9 years the paint job is like new, there is absolutely no rust. It has been a very dependable truck. The only repair I have had to make is to replace the fuel sending unit. The rest has been basic maintenance. If I could change anything it would be the ride. It does ride like a HD truck.